Today’s recipe is an easy but a delicious one. I love recipes that are easy adaptable to one person’s likings. 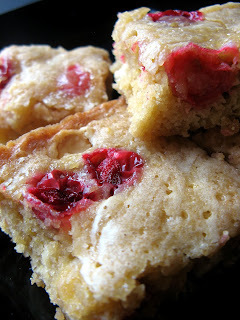 In this one, I used cranberries :), but you can choose raspberries, strawberries, any berries you like or have on hand. Same goes for the chocolate, choose what you want. I thought that the white chocolate will complement the cranberries well. I love burst berries in baked goods! Let the egg and butter sit on the counter top while you get everything else ready. Grease with shortening or line with parchment paper 8″ square pan. Set aside. In a small mixing bowl, whisk together the dry ingredients ( flour, baking powder and salt ). Set aside. In a medium saucepan, melt butter and add the brown sugar. Stir in with a wooden spoon, add the egg and vanilla extract. Stir. Add the dry ingredients and stir just until combined. Pour the batter into your pan. Sprinkle the berries and chocolate on top. You can use the spoon to distribute them into the batter. Bake 30 minutes. Cool after baking. Hello! Stopping by from FoodBuzz. These bars look yummy – can't wait to try them. Congratulations Anna! An award is waiting for you at my blog! Have a lovely day! These look like they need to be my breakfast! So delicious and they look really moist…lovely! They do make for a delicious breakfast 😉 Thank you! I love blondies and I think you picked a great combo for these blondies. Thank you so much, Casey! Thank you, Laura! Blondies are generally based on brown sugar, hence the butterscotch seems to be the leading flavor in them. But like any bars, you can add whatever your heart desires to them and they will be delicious!! That is absolutely right 🙂 Thank you! These looks wonderful! choc and berries are a perfect match, and I think I could never stop at just one of these! quick bar recipes are the best! I love the cranberry chocolate combo, I don't think I'd be able to keep my fork out of these until they cooled 🙂 yummy recipe!! It is hard, but they are sooo worth it! 🙂 Thank you, Kristina! Hugs! Awww, thank you so much, Mary! It means a lot! Have a great day! Hugs! What a great idea! Loving the blog….making my mouth water! Yep. White chocolate and berries are perfect. 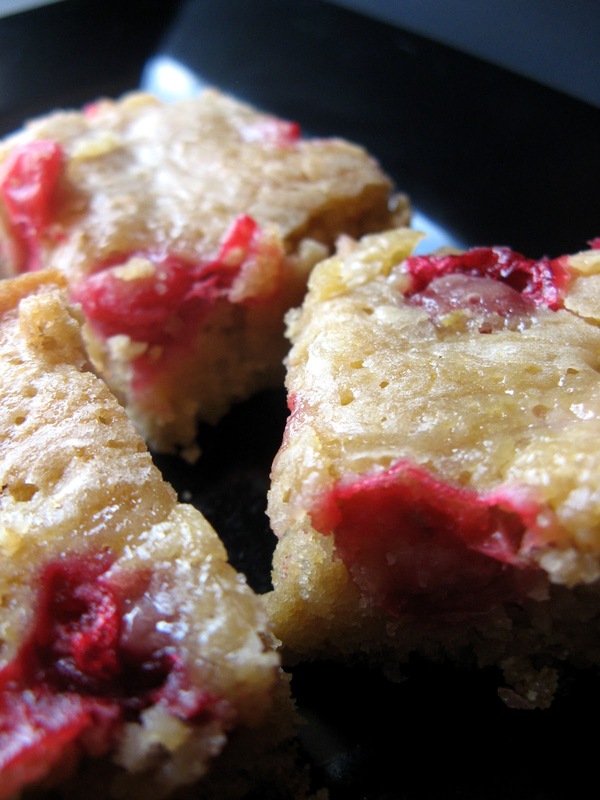 I love blondies, because they are so easy to make and so good! Anna~ Another winner these look amazing! I love blondies and anything with berries is better! I agree 🙂 Thank you, Serena! Hugs! Thank you! Welcome to CCS! Hi Anna! Thanks for stopping by! These blondies look simply delicious!! I love this consistency!! I was salivating the moment I saw these. Oh so delicious looking! 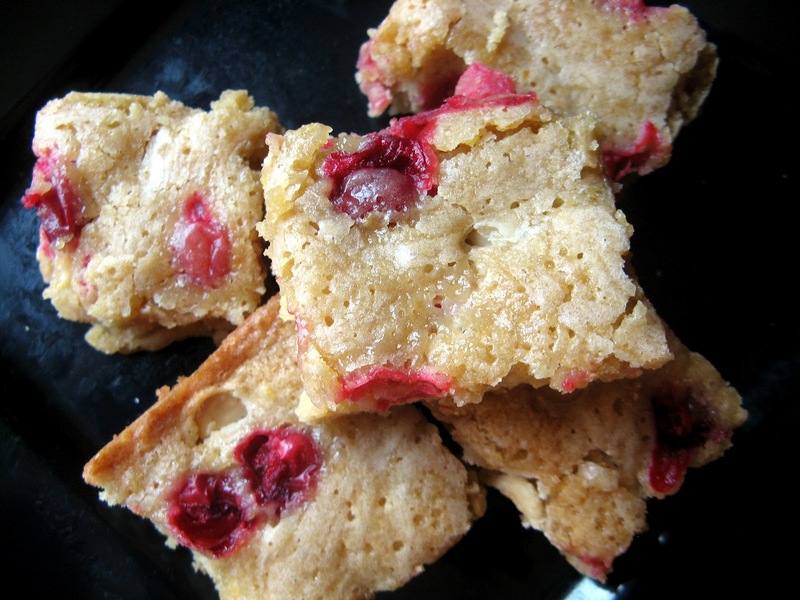 These blondies with cranberries look incredible! These look amazing! I also liked your question…I DO like easily adjustable recipes. I used to make them strictly as written, but found with allergies, I HAD to adjust…then discovered that I LIKE adjusting recipes! I am so glad you like this recipe, Ann! Thank you! 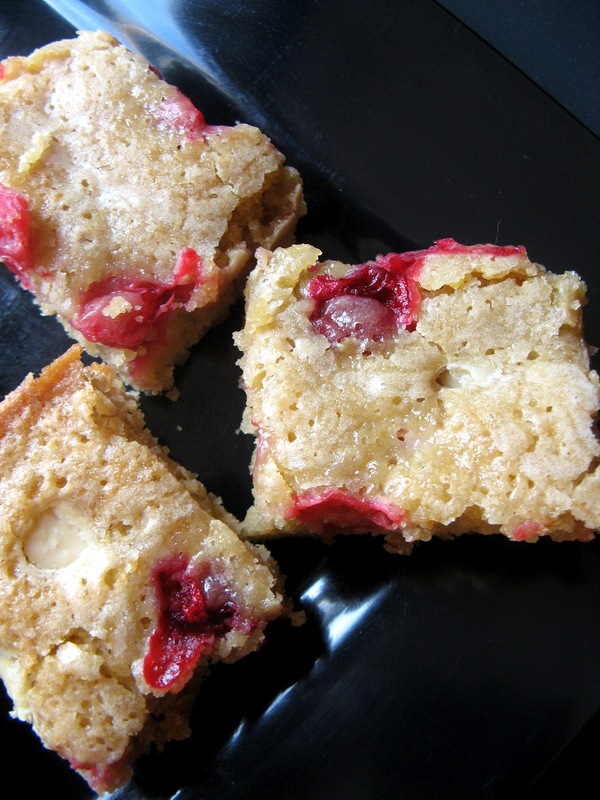 Oh, yeah, I love the sound of cranberries and white chocolate…what yummy bars! 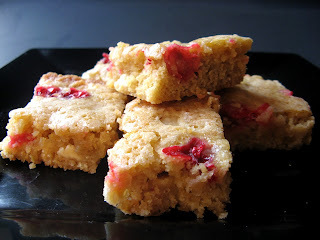 These blondies are simple to make and look very delicious to eat. Sounds like this recipe is great and also good that it is super-versatile for all occasion. Easy and delcious…perfect! These look delightful. What a cute header!!! the blondies look delicious, I love berries in baked goods! Of course I love easily adaptable recipes! Actually, they are a must because my husband is very picky :-/. Those blondies look amazing! Fruit and white chocolate in a bar form does get my attention! I am so ready for the berries of summer, but until then I will make due with the frozen. Glad to have this new blondie recipe-well done! Aww, thank you so much! It means a lot 🙂 Hugs! Wow, these sound amazing! I love the cranberries add, it creates a whole different kind of treat! And sort of reminds me of a spring time dessert. 🙂 They look great!! Can't wait to explore your blog! I love the combo of tart berries with sweet chocolate!! I would really enjoy these. 🙂 I would also pick the cranberries so your recipe is perfect for me. I am so glad you like it, Ramona! Thank you! Anna, these are not going to be helping my waistline…. Lol 🙂 Thank you, Richard! Thank you so much, Sweet Maggie!